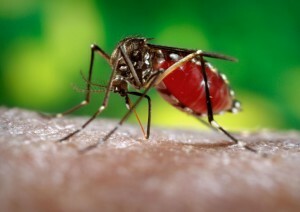 Chikungunya is a viral disease transmitted to humans by the bite of infected Aedes Aegypti mosquitoes. Mosquitoes become infected when they feed on a person infected with CHIKV (Chikungunya Virus). Infected mosquitoes can then spread the virus to other humans when they bite. Aedes aegypti (the yellow fever mosquito), a household container breeder and aggressive daytime biter which is attracted to humans, is the primary vector of CHIKV to humans. So the best way is to avoid mosquito bites. To avoid mosquito bite, Mosquito repellent vapouriser can be used indoor. For outdoor, local application of mosquito repellant on exposed skin is helpful. As Aedes Aegypti mosquito is a day-biter, so more care has to be taken when working outdoors. Not only the healthy but person with Chikungunya fever should also be protected from mosquito bite. Limit infected person’s exposure to mosquito bites in order to avoid further spreading the infection through mosquito. The infected person should stay indoors or under a mosquito net to avoid its spread. No doubt, the best way to avoid Chikungunya Virus (CHIKV) infection is to prevent mosquito bites. But it is not always possible. Chikungunya mosquito (Aedes Aegypti) bites in daytime so it is practically very difficult to prevent mosquito bite when you are working outdoors. So it is wise to additionally have medicinal prevention. Vaccine which can prevent Chikungunya couldn’t be developed yet, however, medicinal prevention is possible with homeopathy. Homeopathy has methods to prevent epidemics. “Genus Epidemicus” is a concept in Homeopathy that helps control an epidemic. According to this concept clinical picture of a group of patients in a particular locality is studied and the most suitable remedy is selected as the Genus Epidemicus for that particular locality. This remedy is given to all healthy people in that locality in order to prevent them from suffering from that disease. This remedy increases person’s immunity to such level that even after infected mosquito bites, it cannot produce active disease in the person’s body. Currently there is Chikungunya epidemic in certain parts of United States. Preventive Homeopathic Genus Epidemicus for these areas can be ordered at https://www.homeopathyhelps.com/chikungunya.htm. Chikungunya Chikungunya, Homeopathy, mosquito bite, Prevention. permalink. I returned from Antigua 10 months ago. Was ill for one month with severe night sweats. Lying in a pool of my own water leaving my body. High Fever. Joint Pain. Flu like symptoms. The pains in my legs are agonising and not like anything I have felt before even with normal arthritis. I am facing mobility problems and now need mobility aids in order to walk. Still in severe pain. Housebound now.